The rhythmic action-adventure title from Brace Yourself Games brings the gameplay of Crypt of the NecroDancer to The Legend of Zelda series. This will be the first of two Zelda games slated for Switch this year, the other being the recently announced remake of Game Boy classic The Legend Of Zelda: Link's Awakening. To shed some light on the situation, IGN recently spoke to Ryan Clark, the founder of Crypt of the NecroDancer developer Brace Yourself Games. The system pulled the plane's nose down more than two dozen times, the report said. Boeing has said it has "full confidence" in the planes' safety. "Developers are always reaching out to Nintendo to include IP in their games". The setup is that the star of NecroDancer, Cadence, finds herself in Hyrule. The best part of today's surprise Nintendo indie livestream was slipped in right at the end: Crypt of the Necrodancer, a fantastic roguelike with one of the best soundtracks ever made, is getting an official sequel featuring The Legend of Zelda characters and music. "The Legend of Zelda" could imply. 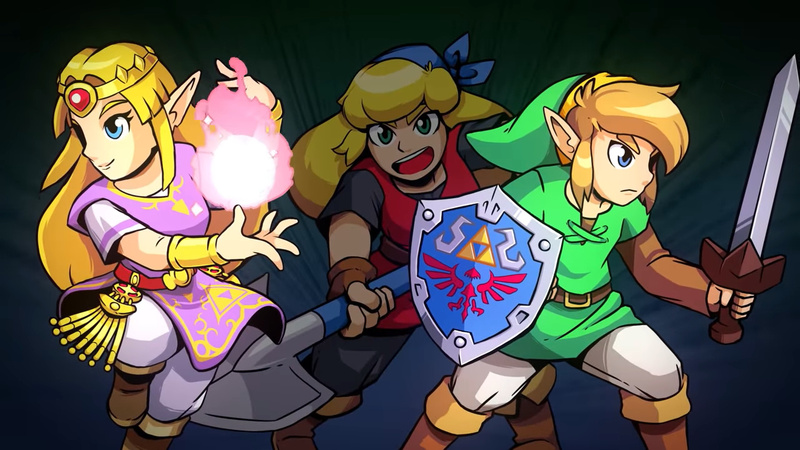 According to a press release, it'll play like a Necrodancer game, meaning hitting movement at attack buttons in time to remixed The Legend of Zelda songs will be how players pilot Necrodancer's Cadence and The Legend of Zelda's Link and Zelda throughout the game. You play as Hue, who must explore this unusual new world filled with intelligent tribes and find a new home for your people. You'll also be able to use iconic weapons and items from the Zelda franchise.